Hero Blog: Note from a Kansas Jayhawk fan! 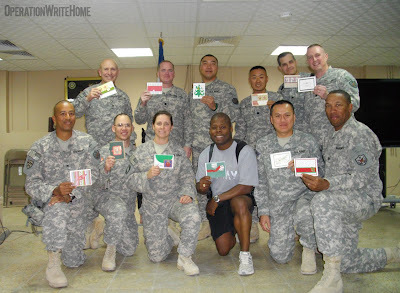 Greetings from Iraq! 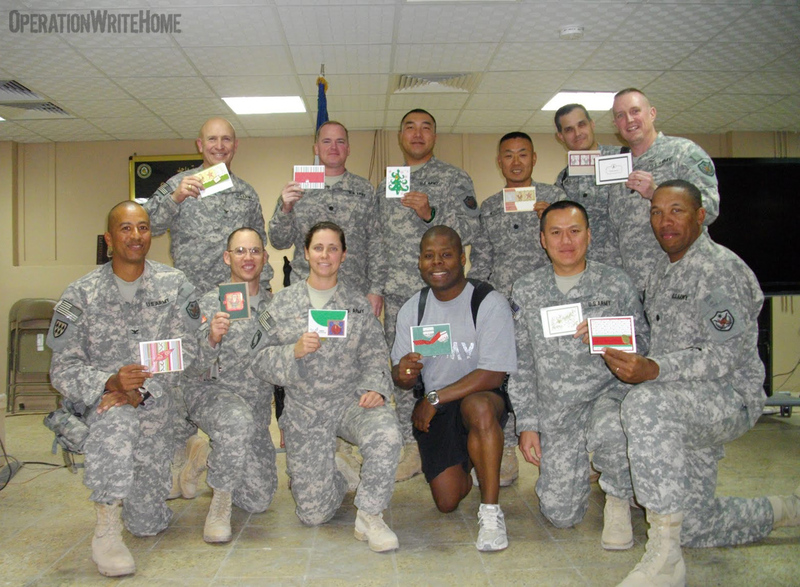 I can't begin to tell you how grateful we are for the box of Christmas cards from Operation Write Home! What an incredible blessing! The cards are a true work of art and have been fun to send to our family and friends. I received the box you send and our team quickly distributed them! I have attached a photo of our Advisor team after I received the cards. I wish I could better express our "heartfelt" grattitude for your graciousness to our servicemen and women. Thank you! May God richly bless you and Operation Write Home. P.S. I'm a Kansas Jayhawker! My wifes family resides in Overland Park and Leawood KS. Neat to see that you sent from our heartland - Olathe, KS. **I was a Jayhawk fan until my son went to Kansas State University. Now I'm a Wildcat fan! Will root for the Jayhawk's when they aren't playing the Wildcats.